"Never give up. Every cloud has a silver lining. " NANCY PAPALEXANDRIS (née Exarchou) was born in Athens and graduated from DEREE with a Bachelor in Business administration in 1966. 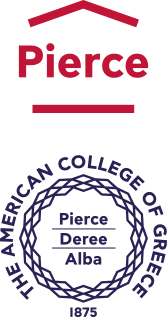 This was the first year that DEREE (then Pierce College, Upper Division) granted Bachelor’s degrees. She earned a Masters Degree from New York University and a PhD in Management from the University of Bath in England. She joined the Athens University of Economics and Business (AUEB) as research assistant in 1973 and after getting her PhD she was gradually promoted to become lecturer, assistant professor, associate professor and finally full professor in 2000. She has served as Vice-Rector for Academic Affairs and Personnel of her University for the period 2001-2007 and has represented the Greek Rectors’ Conference at the European University Association. She is the founder of the Master’s Program in Human Resource Management at A.U.E.B. and for many years responsible for the career office, the placement office, the entrepreneurship program as well as the Erasmus Program of the University. Her research and teaching interests include Human Resource Management, Cross Cultural Management and Leadership, Public Relations, Organizational Behavior, Women in Management, Corporate Social Responsibility and Entrepreneurship. She has published books and articles in various international academic journals and has organized and participated in a number of international conferences. She is married to Thanos Papalexandris and has two children and one grandson. The first time I participated in the Thanksgiving celebration at Hellenikon. So excitingly different from various celebrations I had attended during my high-school years. I have close friendship with a few and feel very happy wherever I meet some of the others. It helped me build my self-confidence and aspire for more. It taught me that extra effort pays back. You get more from giving than from taking. Never give up. Every cloud has a silver lining.